Today, I acknowledge and celebrate the soil composters, which are microbes such as Bacteria, Fungi, Actinomycetes, Algae, Protozoa, and Nematodes. These characters breakdown the dying and dead, and work together to create nourishing environments. I am grateful for these forces that I cannot see continue their steadfast focus of alchemical change. The living experience of composters consuming, transforming and offering, an ongoing cycle. This sustains the soils, and the foundation for food production. 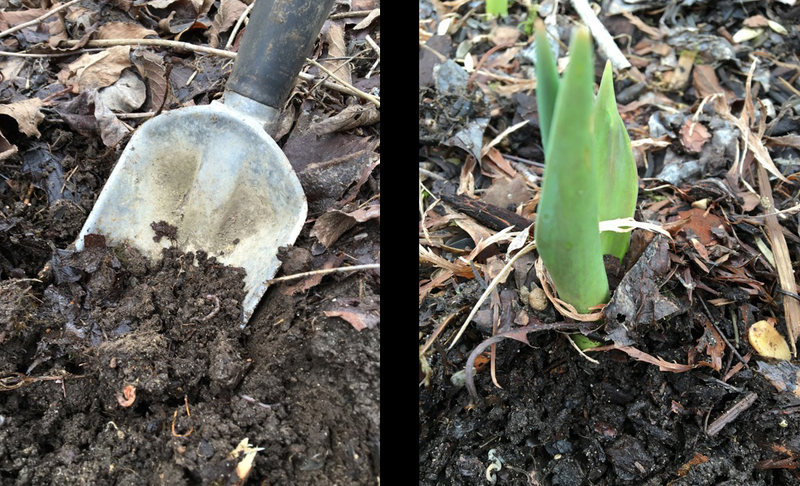 On this late winter day, let’s take a moment of awareness and contribute in some way to our net of earth microbes, offering our dead to the compost bin or pile, turning over the compost heap or noticing the new green shoots peaking out. How about you? What are you composting this month? What are your tools of alchemy?